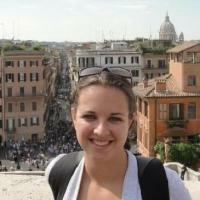 Courtney Monahan is a fifth-year PhD Candidate in Classical Studies with research interests in Roman history, epigraphy, and material culture. Her dissertation research focuses on the public visibility and civic identity of Roman women in the cities of Hispania Tarraconensis. Courtney received her AB in Classical Languages from Bryn Mawr College.